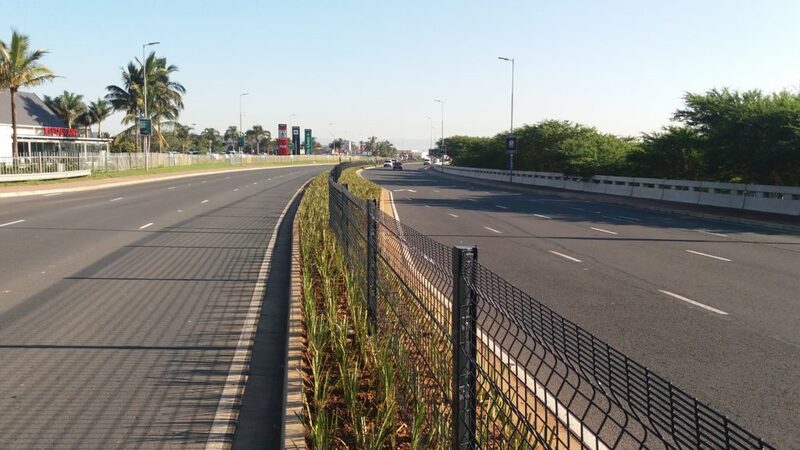 The installation of the Clearvu safety fence on the high traffic P445 in Ballito is now complete. The installation is complete ahead of schedule, which was set for this Friday the 1st of June and final inspections are being carried out. The planting of Dietes is progressing well, more than two thirds of the planting is done, and the remaining planting should be completed within the coming weeks. 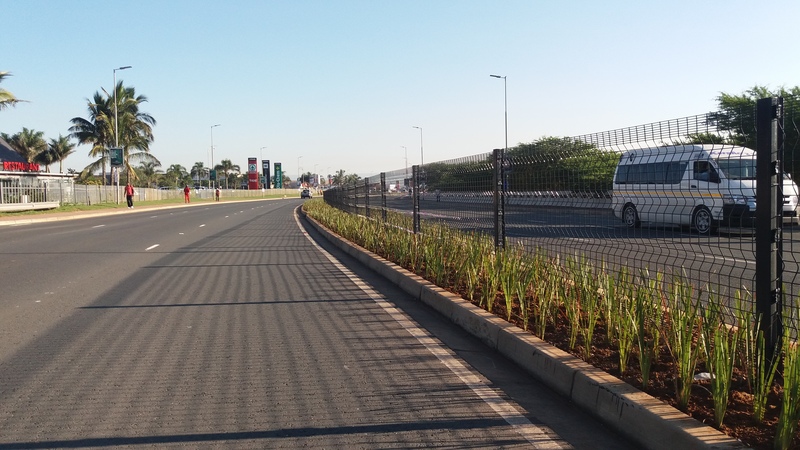 This safety fence has been installed along the centre island along the section of road from the M4 intersection to the McDonald’s intersection on Moffatt Drive, in response to growing concerns and calls to address pedestrian safety and reduce the risk of fatalities in this area.